Use data insights to better understand why customers leave and improve your retention. 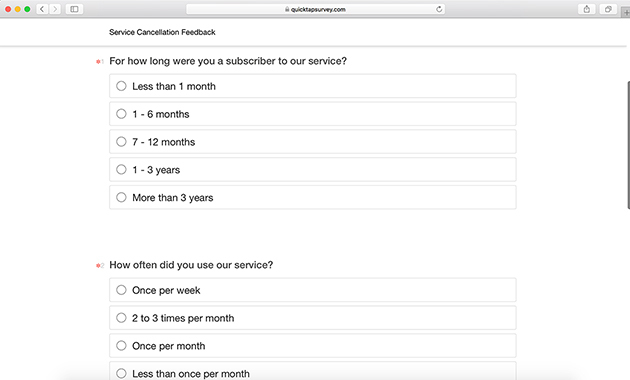 What is a Cancellation Survey? A cancellation survey can help you figure out why a customer no longer wishes to receive your product or service. Key insights you can gather include how long they've been a customer, why they're leaving, whether they interacted with a staff member, and more. From these responses, you can categorize the loss and determine where improvements can be made to retain more business. Determining the "why" that influences lost customers can help you improve future products and services. Usually, customers leave for reasons under your control. 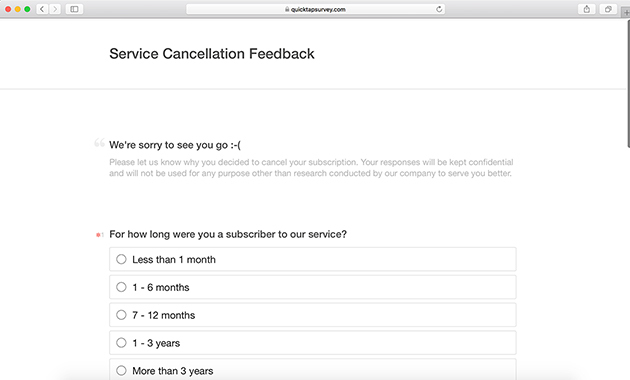 Using this cancellation survey form template will help you identify sore spots and build better relationships with future customers. No internet connection? Easily use this cancellation survey offline. The data you collect will sync with your account when you reconnect. Use daily, weekly, and monthly satisfaction reports to get a live pulse on customers and keep your team informed of new developments. Access feedback as soon as it's submitted. Intuitive graphical reports make it easy to pull out insights and make better business decisions. Set up automated email notifications for managers and employees so negative customer feedback can be addressed as soon as possible. 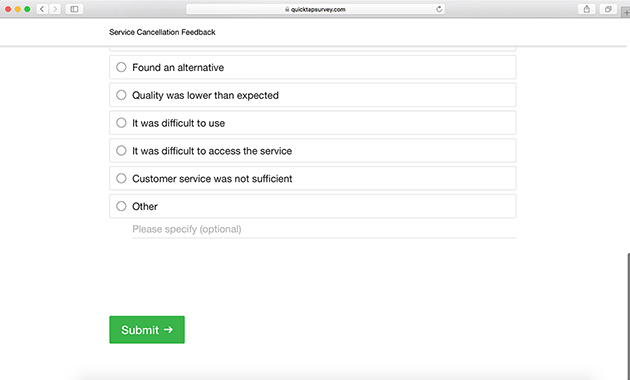 See the cancellation survey in action. 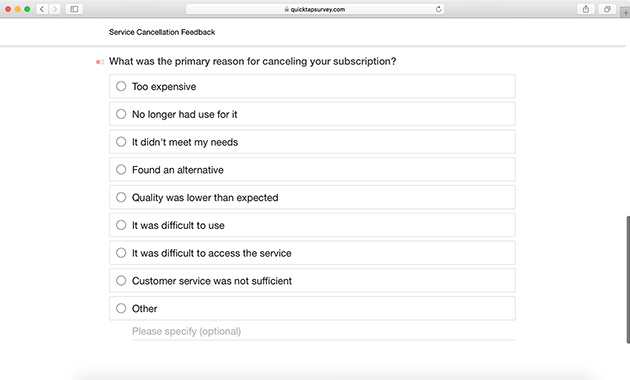 Start using this cancellation survey form template today by signing up for a free trial.